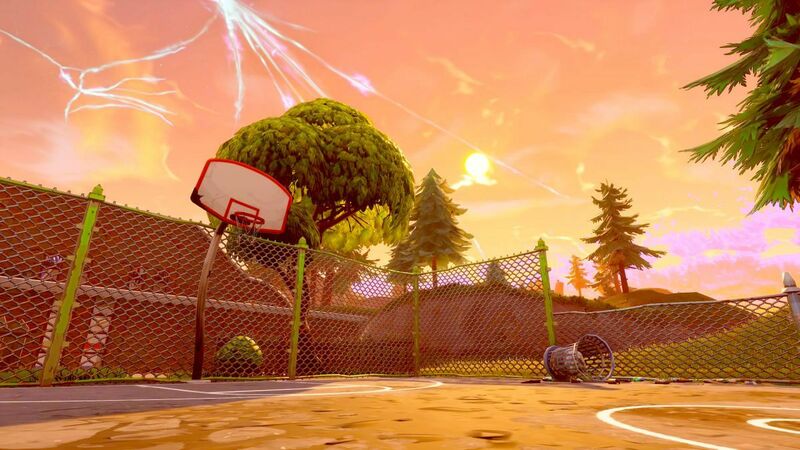 Fortnite Basketball Hoop Guide: Where to Find the Basketball Courts? The second week of Fortnite’s Season 5 has begun. This Fortnite Basketball Hoop Guide will let the players find the location of the hoops in Fortnite. The second week of Fortnite season 5 has begun and with it, a new series of challenges is here as well. Among these challenges, there is one which will ask the players to score through various basket ball hoops. The challenge isn’t about scoring at all. Instead, the real problem lies in finding these hoops. This Fortnite Basketball Hoop Guide will help lead the players straight to the locations of these hoops. Fortnite Season 5 introduced a number of toys in the game. Among them is a basketball as well. Although, the players can play with the basketball anywhere but the challenge is to shoot them through 5 different Basket Ball Hoops at various locations. These hoops have scattered all around the map. Moreover, there are more than 5 hoops around the map. So, finding them will be easy if players know the locations. The location of nine different places is below to help players to find the basketball hoops. One basketball court is at the northeast side of the Greasy Grove. One of the courts is at the northeast corner of Junk Junction. It is quite easily visible to the players from above the air. A court is also present at the northwest side of the Tilted Towers. Although, it is difficult to score in this location initially as a lot of players land here. Go to the north side of the Snobby Shores to locate the basketball court. It was once a peaceful location. But now it has gained the attention of the players. One location of the basketball hoop is towards the south of Salty Springs on the hill. Retail Row also has a basketball court the south edge. Players can try to directly land in the court. Tilted Tower features another basketball court. On the west side of this place, there’s a Football Pitch. The court is right on the west side of this pitch. In Paradise Palms head towards the east side until the basketball court is in sight. This is also a good way for the players to explore this place who haven’t spent much time here. Like Tilted Towers, Retail Row also has a second basketball court. At the east side of Retail Row, there’s a cluster of small buildings. The court is located right outside this cluster. The basketball hoops locate at these nine places. Score any 5 of them to complete the challenge. Make sure to always score at different points to complete the challenge. Players cannot score two points by throwing the balls through 2 opposite hoops of the same court. It has to be a different court every time to make a point count. The completion of the challenge will give players new season 5 items and add to the stars of Battle Pass. We hope that this Fortnite Basketball Hoop Guide will help players to locate the hoops. Halo: Infinite Battle Royale is not Happening – Here’s the Reason Why?